Saturday’s Mohave Valley Community Park Egg Drop in Mohave Valley, Arizona sounds fun: An airplane dumped a bunch of Easter candy eggs outside for kids to collect. But later the same day, the Mohave County Department of Public Health issued a statement telling families to throw away any candy they collected, as the eggs were dropped from a crop-duster airplane and the treats may be coated with herbicides. Thankfully, no one has yet reported any illnesses as a result of the candy, but health officials recommend that anyone who touched the eggs wash their hands thoroughly and remove and wash their clothing. “If you have come in contact with the eggs or candy and experience, nausea, vomiting, diarrhea, excessive sweating or urination you should seek medical assistance immediately,” the statement advises. 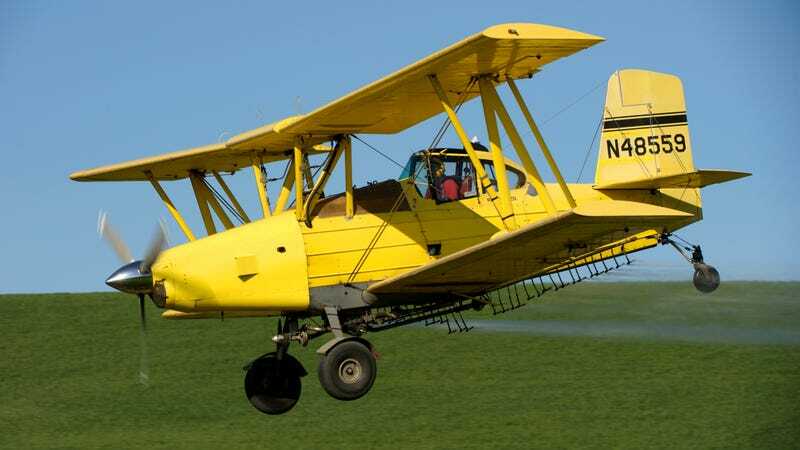 Officials say the crop-duster airplane was scrubbed multiple times before event organizers filled it with candy, but that the 30,000 eggs should be discarded. The county originally issued a statement saying the plane’s tank hadn’t been scrubbed before the event, but issued a corrected statement later.